Experience the height of luxury in Queensland High Country; a naturally inspired wilderness region just 2 hours from Brisbane. 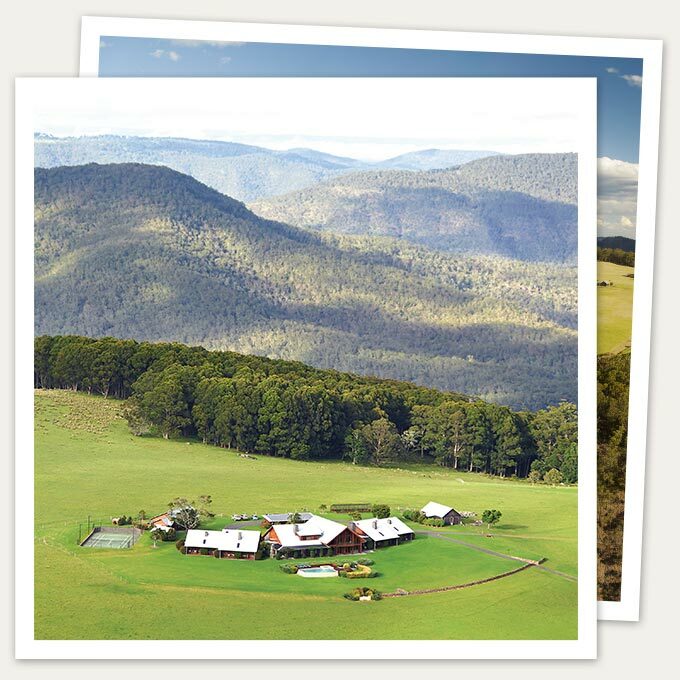 Perched atop a mountain on 9,000 acres, enveloped by the World Heritage listed Main Range National Park and the Great Dividing Range is Spicers Peak Lodge; an exclusive, intimate Australian wilderness lodge experience. This architecturally designed lodge is an eclectic mix of contemporary and classic design, and has been created with its stunning natural environment in mind. Century old Scottish blue stone and recycled timber, along with signature design elements, bespoke furnishings and local landscape photography add a touch of style and sophistication to the relaxing ambience. 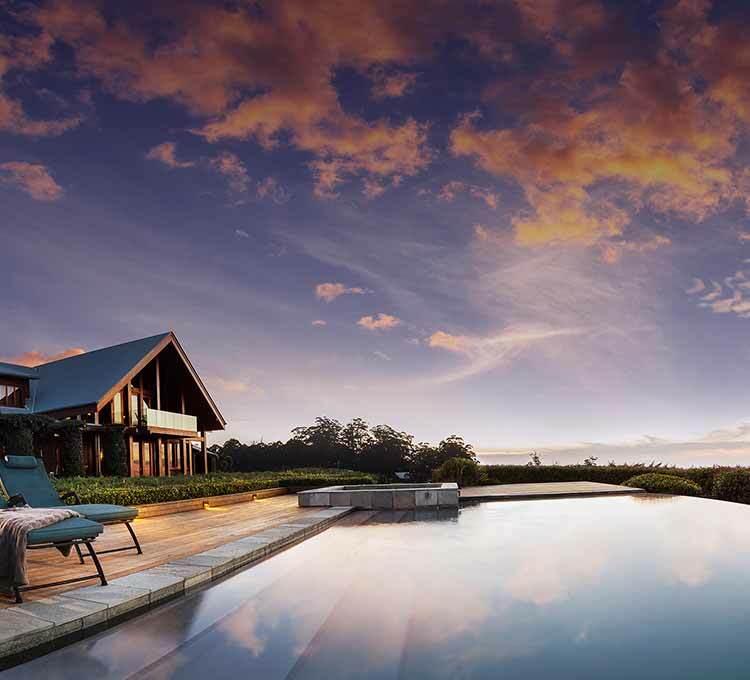 With ten luxurious suites and two Private Lodges, Spicers Peak Lodge serves as an intimate and relaxing accommodation experience. All meals and beverages, including the celebrated tasting menu are included at The Peak Restaurant where guests experience privacy, intimacy and very high levels of service at the 2 chef hatted restaurant. Created around the paddock to plate philosophy, the menu features the very best from the property and the region. Dining at the Lodge extends well beyond the restaurant table, with guests able to dine at a number of picturesque locations at and around the Lodge. As part of the all inclusive stay, guests can enjoy a range of experiences tailored to showcase this strikingly pristine landscape including guided nature walks, guided mountain bike adventures, 4WD discovery tours, night nocturnal walks, yoga and local history presentations. There are also four day guided treks of the region ending with a night of luxury at the Lodge from March to October. With ten eco-systems represented onsite, guests can spot iconic Australian native animals including rare the glossy black cockatoo, bushy tail rock wallaby, kangaroo, dingo and the koala. The property is also renowned for bird watching, with sightings of rare and threatened birds that reside in the region. Offering a unique blend of luxury accommodation, first name service and award winning dining, the Lodge offers a wilderness experience like no other. Spicers Peak lodge plateau has played part in many historic events including Alan Cunningham first discovering the Darling Downs. Spicers Peak Nature refuge was established in 2006 and comprises of 2000 ha of a 3000ha working cattle station. The agreement between the QLD Government and the owners binds all future owners and those interested in the land to conserve the areas significant natural and cultural resources, and provide for the controlled use of the lands natural resources for livestock production, eco tourism, and adventure activities. There are ten eco systems represented in the nature refuge including eucalyptus open forest and woodlands, native mammals with platypus, 5 types of Kangaroo, dingo, three types of possum and other small creatures including bandicoots, bats. 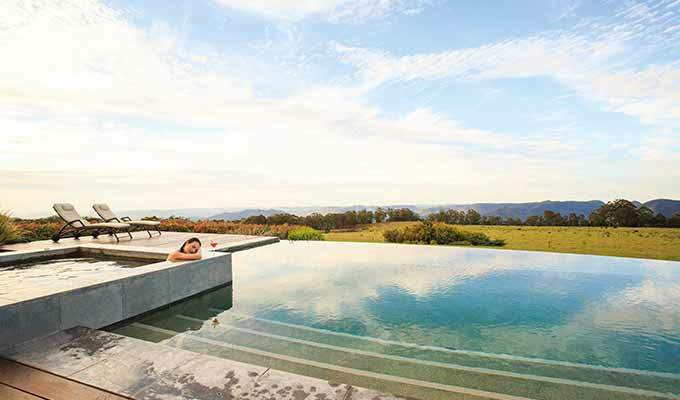 The property has also been renowned to be visited by avid bird watches due to the expansive sightings of rare and threatened birds including the glossy black cockatoo, Eastern Bristlebird and the regent honeyeater.